CENTRAL LONDON. 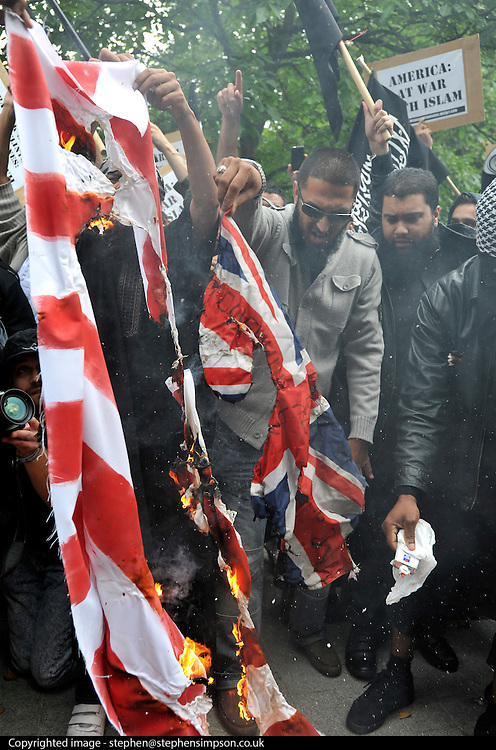 British Muslim activists burn the US flag outside the American embassy in London to voice their anger at the plan by a US Christian pastor, Terry Jones, to burn copies of the Koran on the same day. However, the US pastor has now postponed the event. 11 September 2010. STEPHEN SIMPSON.